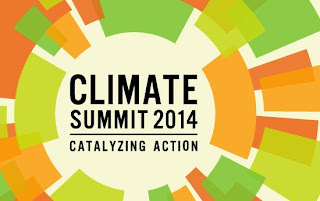 The United Nations Climate Summit 2014 will take place on September 23. Although it is not part of the UNFCCC negotiating process, this meeting is a critical part of efforts to develop a global agreement to tackle climate change by 2015. Climate change is not just a problem for future generations it is a problem that we all face here and now. The climate crisis has serious real world consequences for people and businesses all around the world. As explained by the UN, "Climate change is disrupting national economies, costing us dearly today and even more tomorrow." Despite the dire implications of a world ravaged by climate change, there is much we can do if we act now to mitigate against it and adapt to its unavoidable consequences. The urgency of the climate crisis is coalescing into a global movement for change. Although we have seen a surge in climate change causing emissions of late, we have reason to hope. "There is a growing recognition that affordable, scalable solutions are available now that will enable us all to leapfrog to cleaner, more resilient economies," says the UN. "There is a sense that change is in the air." To help address climate issues, UN Secretary-General Ban Ki-moon has invited world leaders, from government, finance, business, and civil society to Climate Summit 2014. 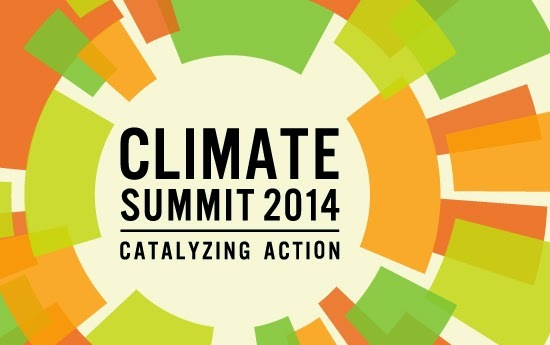 The goal of this meeting is to "galvanize and catalyze climate action." These leaders are not just assembling at the summit for more talks, they have been invited by the UN Secretary-General with the hope that they will act to "reduce emissions, strengthen climate resilience, and mobilize political will for a meaningful legal agreement in 2015." Despite the daunting challenge of building consensus for a 2015 agreement, we must have the audacity to hope that we can keep global temperatures within the 2 degree upper threshold limit. We need to see action from world leaders in areas such as agriculture, cities, energy, financing, forests, pollutants, resilience and transportation. As we ebb ever closer to irreversible tipping points, leaders have no more time to dither. The urgency of the worsening climate crisis demands that they forge a bold vision that can be realized through ambitious action. One of the most important things, starting right now, is to make sure EVERYONE believes the TRUTHS both good and bad, and NOT the LIES that we still get from people with dangerous vested interests.